At the age of 14, Randy R. Arnett-Romero became known as “The Sweeper”, for his efforts at cleaning up construction sites. Once Randy discovered he had a sincere interest in the trade, he began to learn techniques to hone his talents in framing, concrete, and trim carpentry. By 1986, due to Randy’s hard work and personal commitment , he became Superintendent of Butler Products, a custom home builder in Tucson, Arizona.. 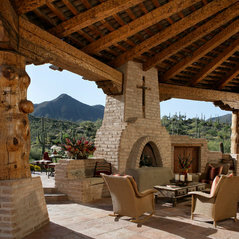 Within three years, Randy had mastered the masonry, plaster, and mill work trades, and completed a 9,000 square foot authentic, all-adobe home that would grace the cover of Phoenix Home and Garden magazine. Now Vice-President of Butler Products, Randy was affectionately known as “The Boss” to his co-workers and subcontractors; a well-earned moniker that aptly expressed their respect for him and his management style. One of Randy’s duties at Butler Products was overseeing the manufacturing of all their mill work, cabinets, doors and windows. 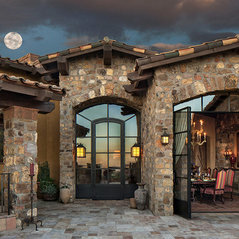 This responsibility led to a decision to manufacture doors and hand-forged hardware for builders and eventually to the creation of Southwest Door Company in Tucson. 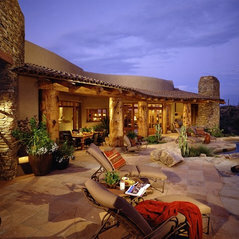 Randy continued to build custom homes in the Tucson area until 1995, when he left Tucson to accept a commission to build a period-style home in Paradise Valley. 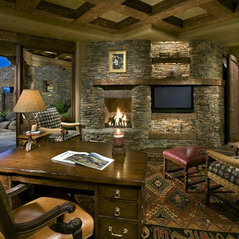 This move resulted in the creation of Randy’s own company, R-NET Custom Homes, in Scottsdale. During the ensuing years Randy has offered his clients home building excellence through the utilization of cutting edge materials, smart home technology and continual product development. 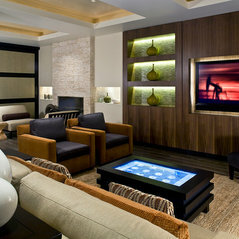 In 2003 he initiated a manufacturing process and the development of contemporary and period-style steel doors and windows. 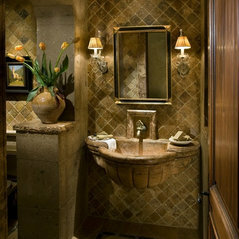 Originally for R-NET Custom Homes, his products went public in 2005 with the debut of Janus Custom Building Products. Today. Randy’s number one priority remains customer satisfaction. 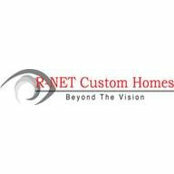 He strives to combine his clients’ demands, desires and passions with R-NET Custom Homes quality workmanship and superior products to make his clients home-building experience both gratifying and exciting.